This 1800 sq. ft. Office Suite is located right off the main stretch of University Avenue. The unit shares a main entrance with Suite A, but has it’s own separate entrance within. The front door opens up to a large reception area with plenty of cabinet storage. 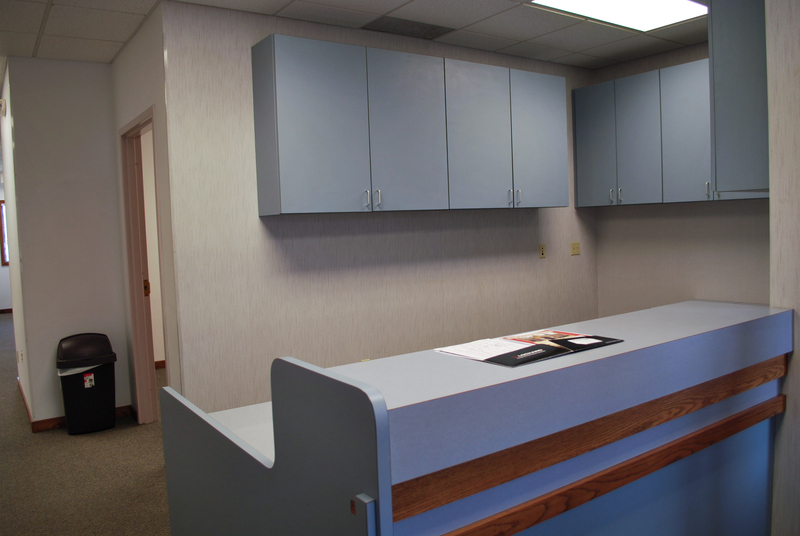 There is an office with extra closet space located right behind the reception area, along with 4 spacious offices on the left side and back of the unit. The suite also includes a kitchenette, 2 bathrooms, a maintenance room, and a back entrance with some extra storage space. Parking is available at the front of the building. In addition to the rent, the tenant will be responsible for interior janitorial and all telecommunication/cable services. Taxes, building insurance, utilities, and day-to-day maintenance of the exterior will be provided by the landlord.